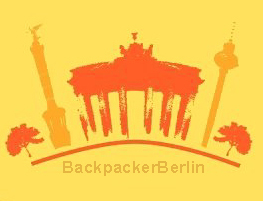 Mitten im Herzen Berlins - einer der angesagtesten Städte Europas- befindet sich unser individuelles Hostel „BackpackerBerlin“. Du schläfst bei uns schon ab preiswerten 13 € in unmittelbarer Nähe des Boxhagener Platzes - dem Herzen des Szeneviertels Berlin-Friedrichshain/Kreuzberg. At Berlin Life we are here to help you get around and enjoy our city, with information, breaking news, an introduction to the culture, as well as the best restaurants, bars, shops, hotels, and entertainment venues! hostelboat 'eastern comfort', moored between two very lively districts in the center of town, looks forward to welcome you onboard with its modern, luxurious atmosphere it´s unique in berlin! Through the portholes of our 2nd class four-bed, triple-bed, single-bed, but mainly double bedcabins, you can see and hear the rippling of the river 'Spree', the main river leading through Berlin. Nearly all cabins have their own toilet/shower. For the one´s of you, who like it very comfortable, we offer 1st class single- and double cabins The ship is located in the eastern part of the town, just at the border between the very lively districts of Kreuzberg and Friedrichshain, directly at the last piece of the 'wall' (dividing Berlin till 1989) just next to one of the most stunning old bridges crossing the river 'spree' You can chill out with a german beer, a drink or a little snack, after a long days walk through town in our lounge or on the spacious topsundeck. The boat is non smoking, equipped with internet/WLAN, TV room, and a washing mashine and dryer. You may bring your bedding with you or hire it from us (5€). We provide a breakfast buffet (2.50€). CABINS: We offer 1st class: large doublebedcabins with showerbath also as singles and 2nd class:singlebed with showerbath, double-bed cabin ('frensh'-bed (125wide), shower in cabin), three-bed cabin ('frensh'-bed (125wide) and second bed/showerbath in cabin) and four-bed cabin (two bunk beds (single beds over each other), showbath in cabin) At present we only accept cash on arrival. children under 6 years of age, non swimmers, pets are for security reasons not allowed on board. Home cheap Home 3-Stars City-Hotel with a private atmosphere and lots of comfort. ALL YOU CAN EAT - GREAT BREAKFAST BUFFET PRIVATE FACILITIES IN EVERY ROOM TV IN EVERY ROOM BED SHEETS & TOWELS FREE LOCKERS FREE MOVIES DAILY (German & English) ALL TAXES INCLUDED FREE LUGGAGE ROOM NO CURFEW NO LOCK OUT NO AGE LIMITED NO MEMBERSHIPS NEEDED In our rooms, which were newly renovated in the year 2001, you will feel surely at home. Because of the rustical architecture of our house and its thick walls, you are guaranteed to have a quiet sleep. The rooms all have direct-dial telephone, satellite TV with 30 stations and include bath or shower and WC. Our rooms are included with LARGE BREAKFAST, service and tax. We are centrally located just 2km to the cathedral and the old-town of cologne, 1.5km to the fairground (koelnmesse) and the Koeln Arena and only 150 metres to the tram and the subway-station. We're located directly on the Helmholtz Square in Prenzlauer Berg, one of the most popular areas for Berlin “Café Culture.” The area is very young and hip, with literally hundred of all night bars and a huge selection of cafes and restaurants, whether it's Indian, Cuban, or tradition German. There are always people out, making the area very safe and in summer is especially nice when all cafes set up their outdoor terraces. The brand new Barcelona Urbany is a vibrant and trendy hostel in Barcelona that offers hotel-like facilities and services that will delight you and make your stay in the city even better.